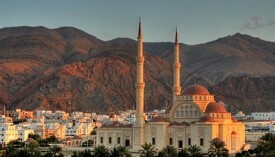 The capital of Oman touts itself as one of the cleanest cities in the world. Installed on the rocky shoreline are three forts built during the Portuguese occupation of the country in the late 1500s. Cultural attractions include an aquarium displaying native specimens, the history-heavy Oman Museum, the National Museum and the Sultan's Armed Forces Museum. You could spend an entire day touring the fish market and shopping in the souk. Be sure to catch a glance of the sultan's palace at nighttime. The Port of Sultan is located approximately a half hour from Muscat International Airport. Exit the airport and head south for 4km. Merge onto Route 1 and drive for 23km, then at the roundabout, take the 3rd exit onto Harat A'shamal St to Port of Sultan.